The group is demanding the federal government include the Davie shipyard, in Levis, Que., in the policy and plans to make it a major issue in the October federal election. The Association of Davie Shipbuilding Suppliers, which has been around for about a year, represents companies that do business with the shipyard. It plans an online campaign, beginning Thursday, and will lobby chambers of commerce as well as federal and provincial politicians. It is hoping to use its extensive membership and thousands of associated jobs to put pressure on the government in an election year to direct the building of additional coast guard ships exclusively to the Quebec yard, one of the oldest in the country. The shipbuilding strategy, conceived under the previous Conservative government but embraced by the Liberals, has turned into a giant sinkhole for federal cash with little to show for it, Simon Maltais, the association's vice-president, told CBC News. "We can call it a boondoggle," he said. "It has been seven years in the making. At the moment, there is absolutely no operational ship afloat and working for Canada." The Conservatives under former prime minister Stephen Harper chose two shipyards — Irving Shipbuilding of Halifax and Seaspan in Vancouver — as the government's go-to companies for the construction of new warships and civilian vessels. The Davie shipyard was, at the time, emerging from bankruptcy, and under the strategy it only became eligible for repair and refit work on existing vessels and perhaps the construction of smaller vessels. Irving and Seaspan have invested hundreds of millions of dollars in modernizing their yards and have just begun to produce new vessels. The first Arctic offshore patrol ship for the navy is being outfitted in Halifax and others are in various stages of construction. Three offshore fisheries science vessels, constructed in Vancouver for the coast guard, are undergoing repairs after defective welds were discovered last year. The entire program has been beset with delays and rising cost estimates. Last year, Public Services and Procurement Canada refused to release a revised timeline for the delivery of ships from Seaspan, including construction of a heavy icebreaker and the navy's two joint support ships. Maltais said it makes no sense to keep excluding Davie from full-fledged ship construction work when much of the coast fleet is over three decades old and in dire need of replacement. Refreshing the strategy would insure the federal government gets the ships it needs and Quebec companies "get their fair share" of the program. "We know it's an electoral year and, yes, we want the federal government and the people in the election to talk about it," he said. Maltais clams members of his association have been talking to federal politicians on both sides of the aisle in the province and they support the idea. "They seem to be on the same page as us," he said. 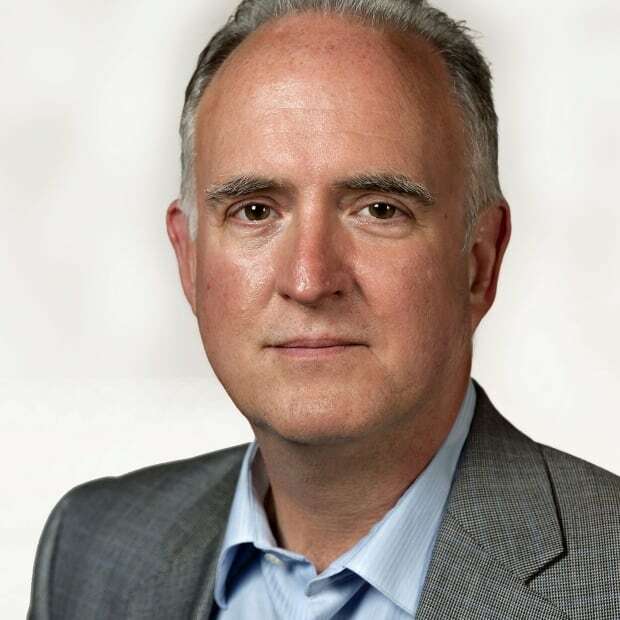 Defence analyst Dave Perry, an expert in procurement and the shipbuilding program, said the political campaign has the potential to make the federal government uncomfortable, but he doubts it will achieve the objective of reopening the strategy to add a third shipyard. "That would certainly be a major change in the strategy," he said. "There had been a view of doing something less than that." 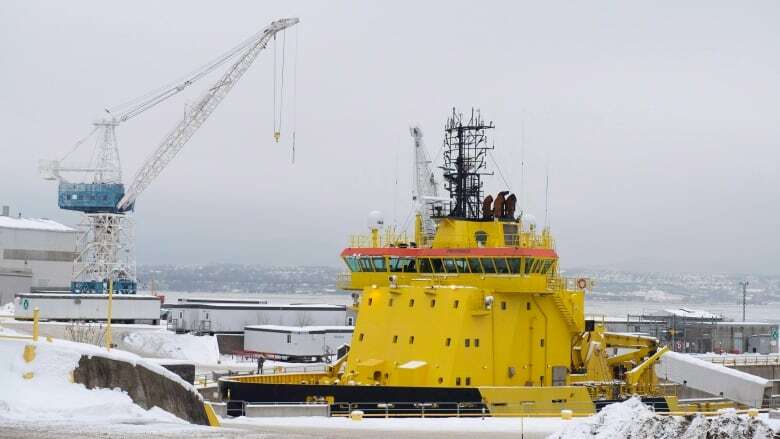 The proposal being put forward by the association would not take any work from Halifax or Vancouver, but instead direct all new work, on additional icebreakers for example, to the Quebec yard. Just recently, Davie was awarded a contract to convert three civilian icebreakers for coast guard use, but the association argues the need is greater. The federal government did debate an overhaul of the strategy, according to documents obtained and published by CBC News last summer. The size and scope of the "policy refresh" was not made clear in a heavily redacted memo, dated Jan. 23, 2018. So far, nothing has taken place and government officials have insisted they were still committed to the two-yard strategy. During the last election campaign, the Liberals pledged to fix the "broken" procurement system and invest heavily in the navy.